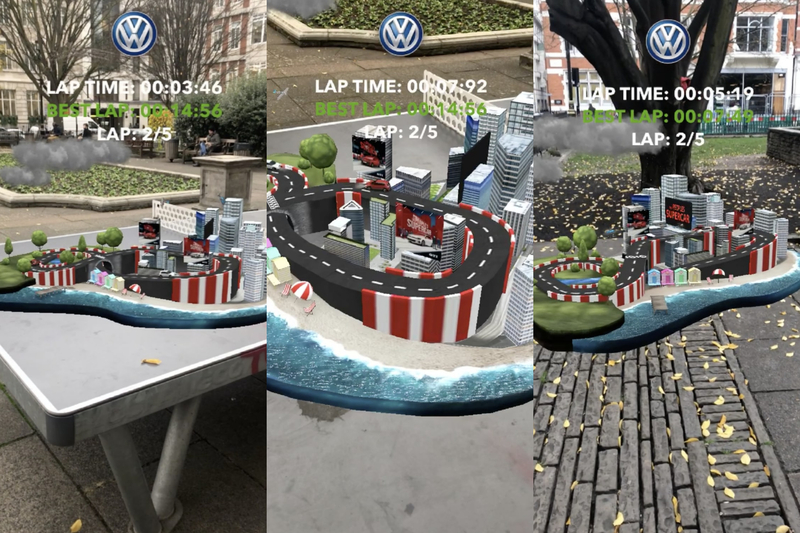 Volkswagen UK has partnered with Snapchat to create an augmented reality GTI racing game via a Snapchat lens. The game features an island with a track on it, plonked onto whatever is in your viewfinder – hence the reality is augmented rather than virtual. It’s clever tech that sees little GTIs scooting around the virtual circuit. The track itself is very Outrun, with beaches, forests and cities populating the scenery. The ‘driver’ makes their car go quicker by holding his or her finger on the screen. The longer they hold, the quicker it goes, although that won’t work so well on some of the circuit’s tighter bends. After the race, you can share your results with friends and compete for the best lap times. This social media campaign is designed to appeal to everyone from normal drivers to petrolheads and is a part of VW’s GTI ‘People’s Supercar’ program. The creative agency behind the campaign apparently decided Snapchat was the best platform. Well, anything’s better than the dog ears and tongue, right? The GTI snap lens should be available from today, for the next month. 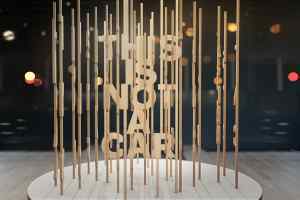 “We’re very excited to see how popular this innovative and fun project proves to be,” said Geraldine Ingham, head of marketing at Volkswagen UK. How far does a £50 fill-up get you in different countries around the world?